Sweet yet simple, the Carnie bib is popular with babies who aren't into frou-frou, yet want a little something special. 100% cotton fabric hides a soft, fluffy chenille backing. 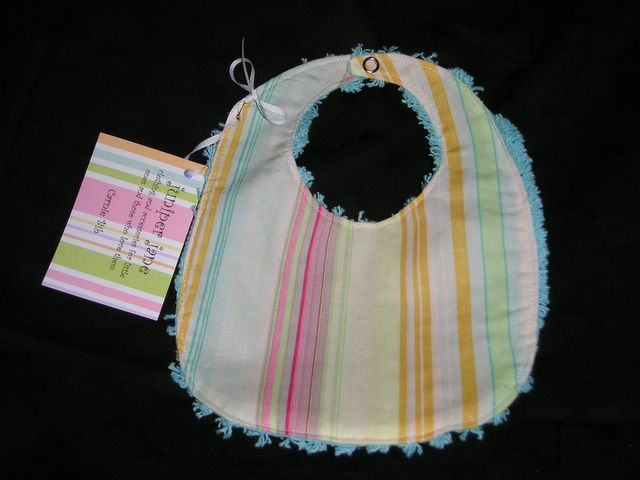 The Carnie bib is finished with clean topstitching, creating a distinctive look for refined babies with a taste for grace.